The boring answer: it’s a fast-flowing stream, running from the confluence of the Bower and Holebottom Brooks, in Chadderton and Hollinwood, down through Failsworth and Moston. 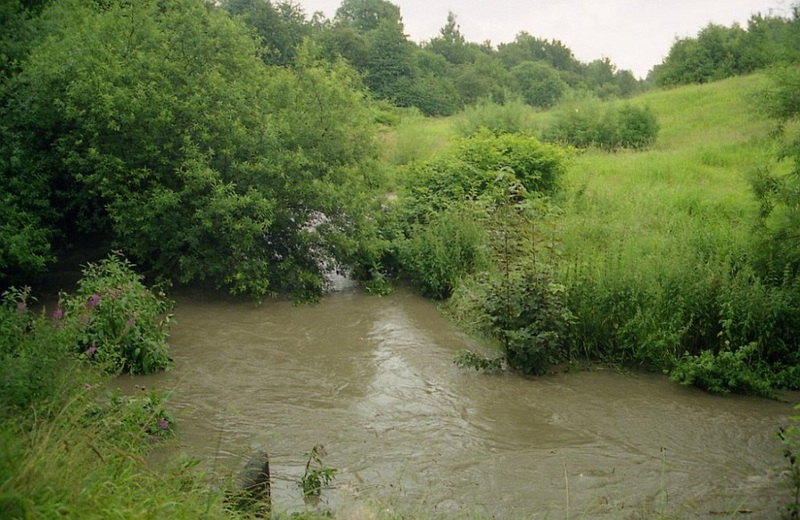 Then, close to Newton Heath, it is swelled by the Dean Brook and flows on south-westward, along the Harpurhey border, to join the River Irk at Collyhurst. There, now you know. But, to a ten-year-old growing up in New Moston in the early 1960s, the brook and its surroundings was a land of adventure. A place to meet friends and exercise the imagination, in deserts of sand near the old brickworks, jungles of knotweed, alien landscapes of the ‘white hills’ and rugged, cratered flatlands and hillocks beside the stream. We would make dens among the rowan and hawthorn (ouch), search for newts and frog-spawn, explode the Himalayan balsam seed-pods, or build dams of clay, stones and broken bricks, to be washed away by the next rain. Heavy rain saw the brook in furious spate, swelling to river-size, flattening grass either side and sometimes sweeping fallen tree-trunks and other debris downstream. And the steep valley sides, with grassy flats below, were perfect for sledging, in winter snow. Nearby was the Rochdale Canal, then disused but remarkably weed-free and still capable of floating the odd home-made raft, or supplying tiddlers caught with a net or (for the more dextrous) a bent pin strung from a piece of bamboo. Close to Wrigley Head canal bridge, sports fans could watch the occasional inter-works match on Ferranti’s football field, or peep over the fence on the opposite side of the path, where the same firm had bowling greens and a tennis court, between the canal and the railway. 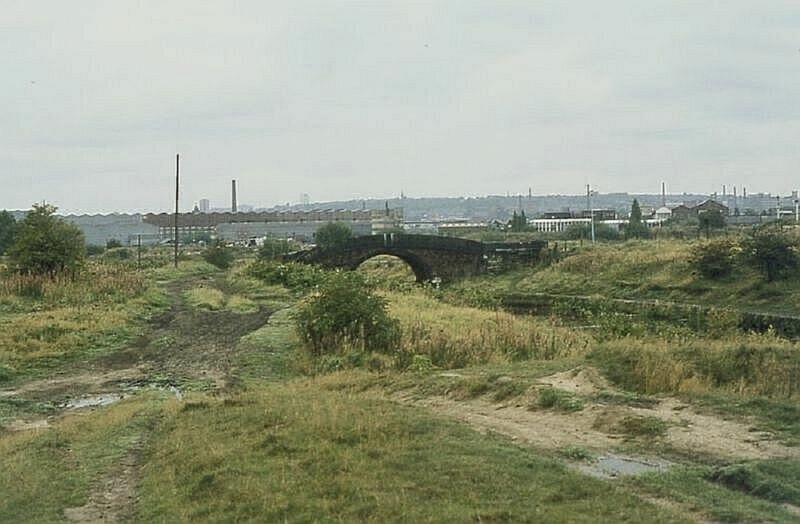 Ever in the background, off-setting the meanderings of the brook, the railway ran atop its almost straight embankment between Failsworth and Hollinwood, crossing the canal near the bowling club. Steam engines had given way to diesel, for the local passenger services from Manchester to Oldham, Royton and Rochdale, but there were still frequent goods trains to interrupt play from time to time. Often of thirty or forty wagons, these carried coal to Ferranti’s and mills in Chadderton and Shaw, as well as Higginshaw Gas Works. There was also steel stock to engineering works in Hollinwood and Werneth, and a seemingly endless procession of parcels trains to and from Oldham’s Clegg Street depot. Then on summer Saturdays, of course, came the lengthy holiday excursion trains and Wakes specials, each invariably headed by an express steamer. The railway was a reminder that industry, with its attendant waste and pollution, was never far away. The brook would occasionally display one of a rainbow of colours, from dye-works upstream in Hollinwood. 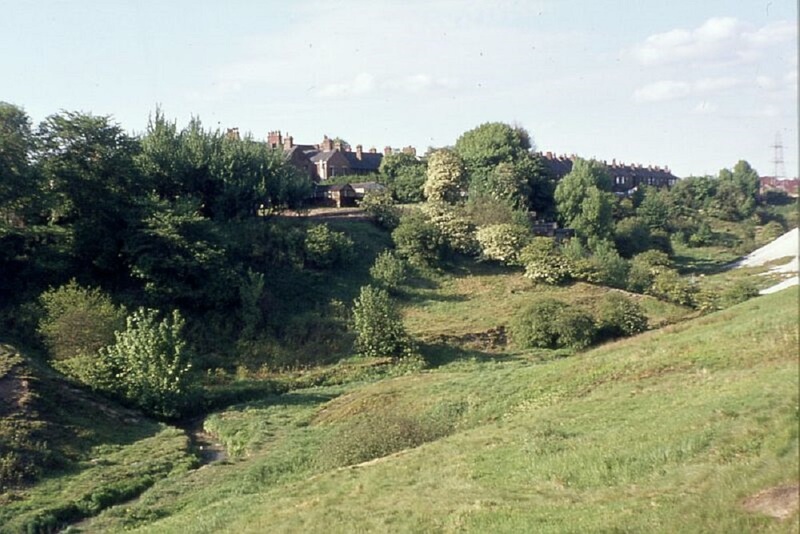 Moston Brook with Belgrave Road in the background, May 1974. The valley here was known as ‘Morris Clough’ up to the nineteenth century. Wrigley Head and Ivy mills were in use as a plumbers’ merchant and mail-order warehouse. The Springfield Laundry belched steam near the canal lock and the remains of Hardman Fold brickworks stuck through the grass on the west side of Hale Lane, its huge and deep clay-pits still lurking behind, partly filled with muddy water (a potential trap for the unwary). Close to these, the pig farm vitiated the summer air with its unmistakeable perfume. The district had long been a curious mixture of the rural, industrial and suburban, all cheek-by-jowl. 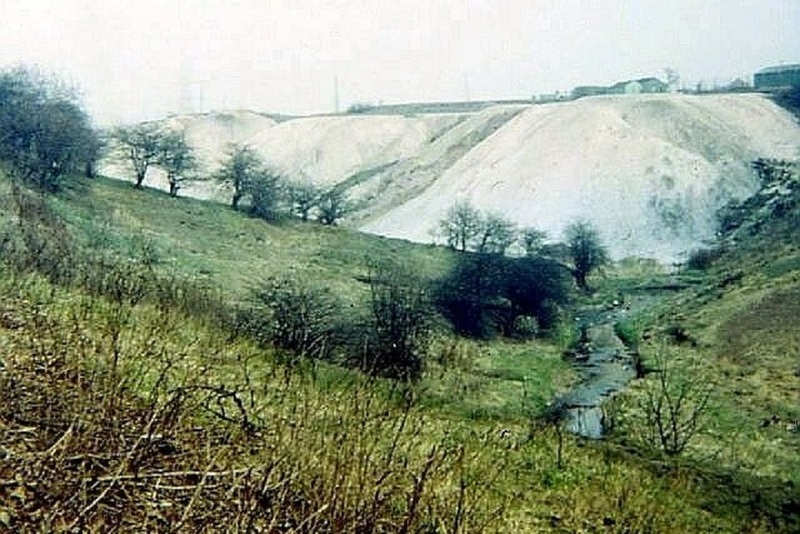 Despite patches of tipping and strange sticky substances leaching down the hillsides (some themselves formed from industrial waste), the brook valley and adjoining area was still a haven for wildlife, dog-walkers, anglers – and, of course, children. No computers, no smartphones, but how could anyone be bored, with all that on offer?